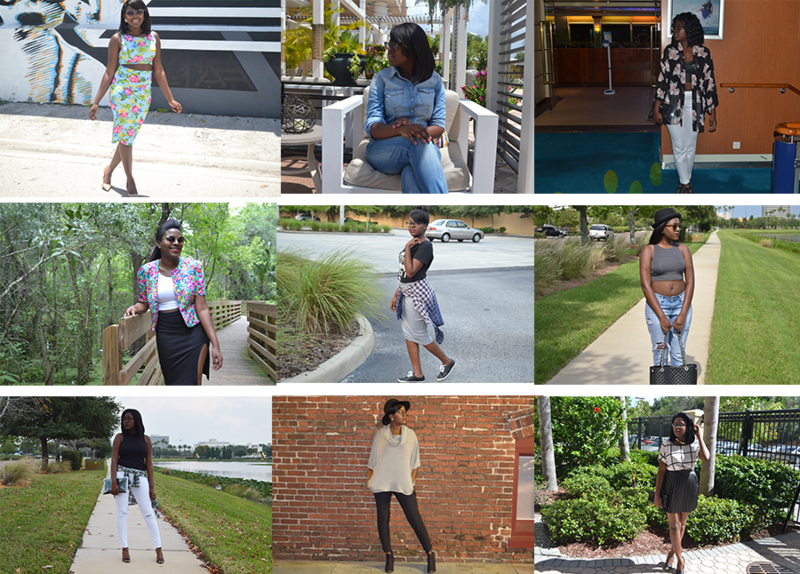 So it is only right for me to do a recap of a few of my many outfits of 2014. I can definitely say that my style has changed since the beginning of the year and will continue evolving as I get deeper into my fashion journey. While 2015 is quickly approaching, I feel as if I am ready to take it on by storm! I have a lot planned for this upcoming year and I have faith that all will be accomplished. My brand Fashilluminous was recently created and I am so glad to see it grow in such a short amount of time. Here is a quick background for you guys: Fashilluminous was created with the intention of tracking my journey as I dive into the world of fashion. It started off as just a personal blog that I only wanted to keep to myself but after being encouraged by Brandon and a few of my friends I decided why not share this with the world? Here it is nearly one year later and I can say this was one of the best decisions I have made by far. This blog has pushed me to have more confidence in myself and allowed me to experience how it is being in front of the camera for a change. I don’t want to ramble on so I’d just like to end off saying I am excited for 2015! I am ready to continue growing in all aspects of my life (spiritual, mental, etc) and so glad that I’ll be able to look back in a few years in my office in New York (lol) and seeing all of my growth. Cheers to the New Year friends!